Chicken and Rice is a classic idea for dinner in almost every type of cuisine, and we think you’ll love trying these Instant Pot Chicken and Rice Recipes for Easy Family Dinners. And using the Instant pot makes chicken and rice dinners easier and quicker to prepare, which is always a plus for week-night dinners! Click here to PIN Instant Pot Chicken and Rice for Easy Family Dinners! 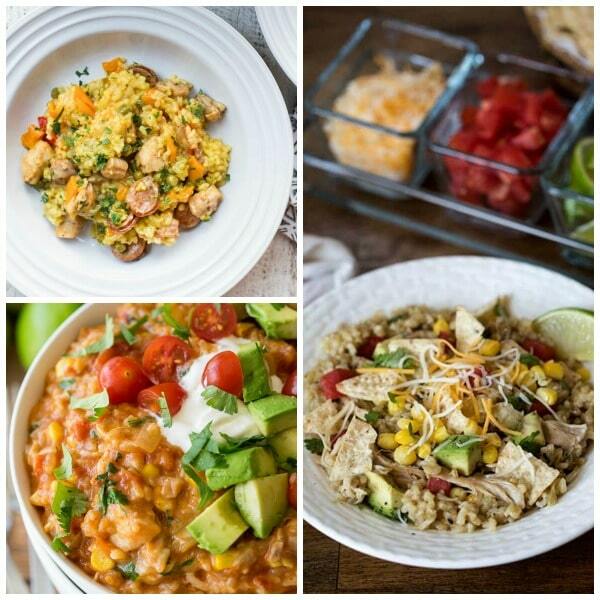 We know that quick and easy dinners are the reason so many people love their Instant Pots! 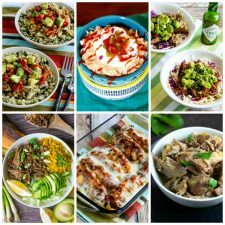 And chicken and rice is a class idea for an easy dinner, so we looked around the web to find these Instant Pot Chicken and Rice Recipes for Easy Family Dinners! 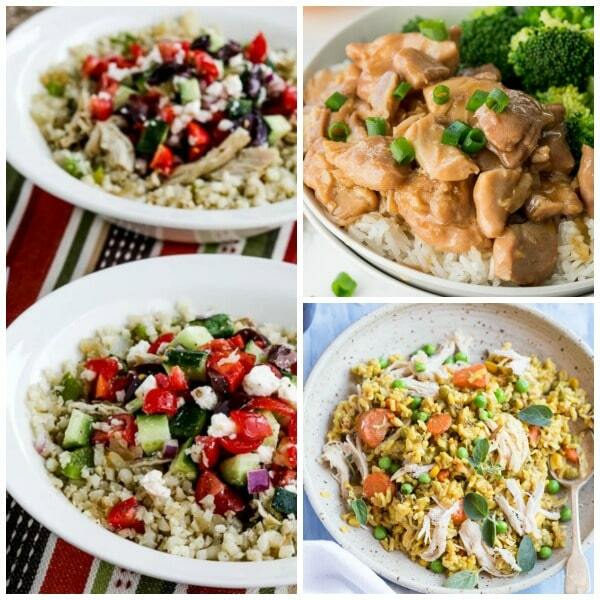 There are so many tasty chicken and rice dinners here for you to try! And we found Instant Pot Chicken dinners with a variety of flavors including Orange Chicken, Greek Chicken, Salsa Verde Chicken, Chicken Adobo, Cajun Chicken, Buffalo Chicken, and Green Chile Chicken. And there are also all kinds of rice, including cheesy rice with broccoli, brown rice, yellow rice, Cajun rice, rice made into pilaf or paella, and even chicken dinners with cauliflower rice for those who are watching their carbs! All photos are copyrighted to the blog that posted the recipe. Just click the recipe name in the description under any photo to find the complete recipe on the original site. And enjoy your chicken and rice dinners! Instant Pot Orange Chicken and Rice from I Wash You Dry is tender chicken pieces in a fragrant sweet orange sauce. The best part is that the rice cooks at the same time as the chicken in the Instant Pot. The whole meal is ready in less than 30 minutes! Instant Pot Low-Carb Cauliflower Rice Greek Chicken Bowls from Kalyn’s Kitchen have all the flavor of Greek chicken and Greek salad in a fun bowl meal. And it’s a low-carb meal because the “rice” used is cauliflower rice! Kalyn has also included a slow cooker version if you prefer that method of cooking. 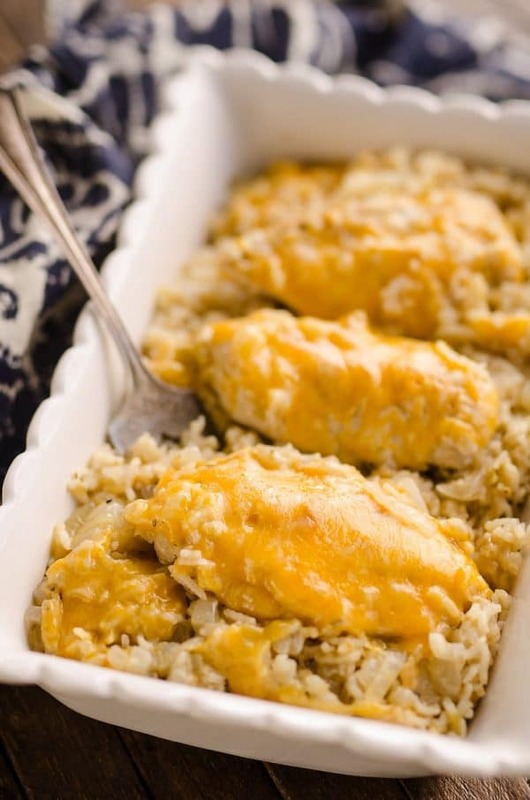 Kristina says this Instant Pot Chicken and Yellow Rice from Love and Zest will have you screaming “WINNER WINNER CHICKEN DINNER”! And it’s made all in one pot! Instant Pot Cheesy Chicken Broccoli Rice Casserole from 365 Days of Slow Cooking is a lightened up, easy pressure cooker version of an old favorite recipe. It’s also an all in one meal with broccoli, rice, and chicken all in your Instant Pot! Pressure Cooker Salsa Verde Chicken and Rice from The Creative Bite is quick, easy, and sounds delicious! And doesn’t everyone love these flavors? Elise says this Pressure Cooker Adobo and Rice from Simply Recipes has everything going for it: it’s fast, it’s tasty, and everything cooks together in the same pot! 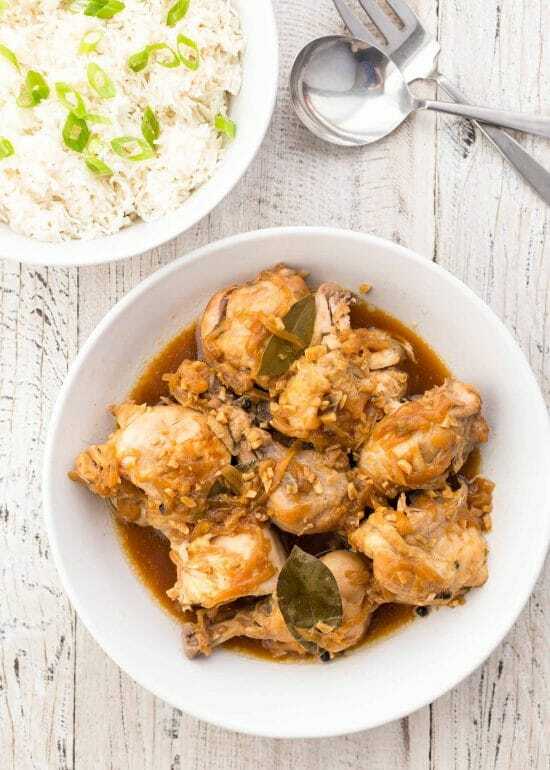 This recipe has chicken thighs and legs with onion, garlic, vinegar, soy sauce, and brown sugar all cooked together in the Instant Pot and ready to serve in less than an hour. Pressure Cooker Green Chile Chicken and Rice from Pressure Cooking Today is an easy and healthy one-pot meal. The brown rice and chicken cook in a flavorful green chile sauce. Then after pressure cooking you can serve it loaded with more fresh veggies and your favorite taco bowl toppings. Instant Pot Cajun Chicken and Rice from What’s in the Pan? has a double dose of Cajun seasoning; it’s in the rice and combined with Italian seasoning on the chicken. This is a tasty and healthy recipe that’s gluten-free and dairy-free. Instant Pot Chicken and Rice from A Pinch of Healthy combines chicken thighs, shallots, carrots and mushrooms with chicken broth, rice, and a few spices to create a delicious and simple Instant Pot dinner your whole family will love! This Slow Cooker or Pressure Cooker Buffalo Chicken Cauliflower Rice Bowl from Kalyn’s Kitchen is another option for the low-carb eaters! Choose the slow cooker or the pressure cook to make this tasty dish. And don’t forget the crumbled blue cheese! In this Quick and Easy Instant Pot Chicken and Rice from Green Healthy Cooking Lorena includes instructions for using either chicken breasts or chicken thighs in her chicken and rice recipe. She uses white rice when making it with chicken breast; basmati brown rice when using bone in chicken thighs. Don’t you agree that both options sound amazing? 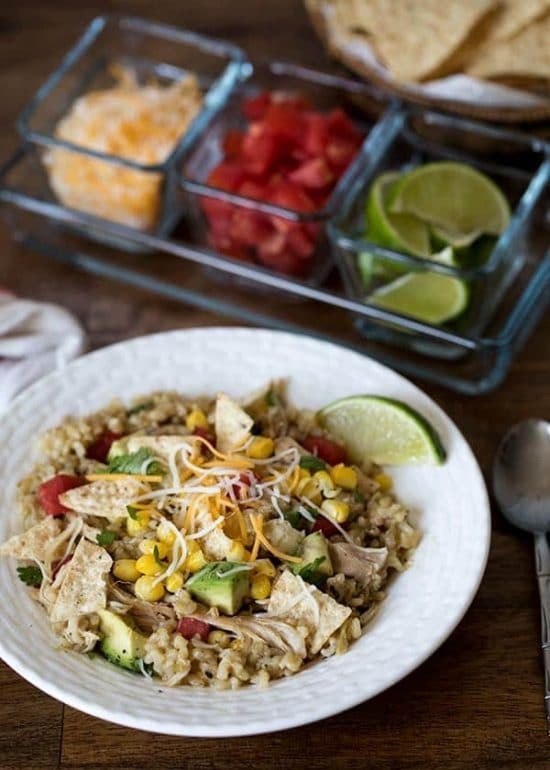 Instant Pot Mexican Chicken Rice from I Wash You Dry is a super quick and easy dinner that you can put together in minutes. Combine all ingredients together in the Instant Pot, stir it up, set the timer, and let the Instant Pot do the cooking. Before you know it, this Mexican dinner is ready to serve and it sounds fantastic! In this Instant Pot Chicken and Brown Rice from 365 Days of Slow Cooking whole chicken legs are seasoned and cooked in your Instant Pot and then browned under the broiler. 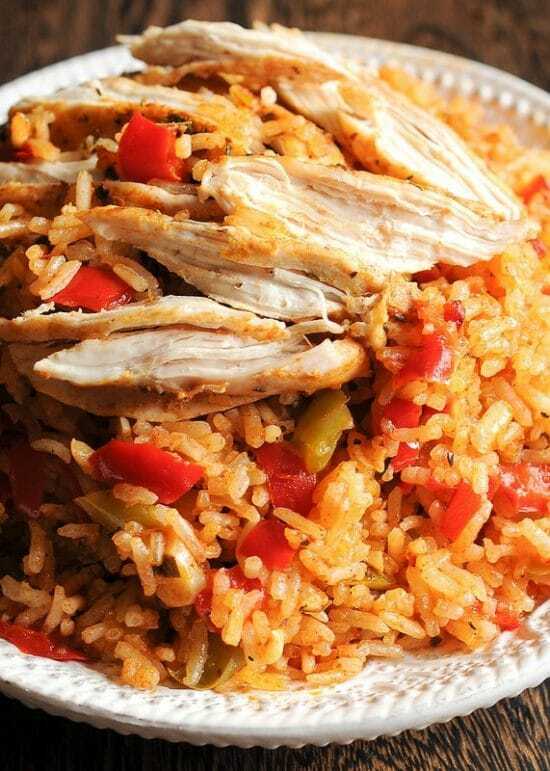 The chicken, placed on top of the rice while cooking, releases it’s juices and produces a flavorful rice. Sounds delicious and healthy with brown rice and no cream of anything soup! 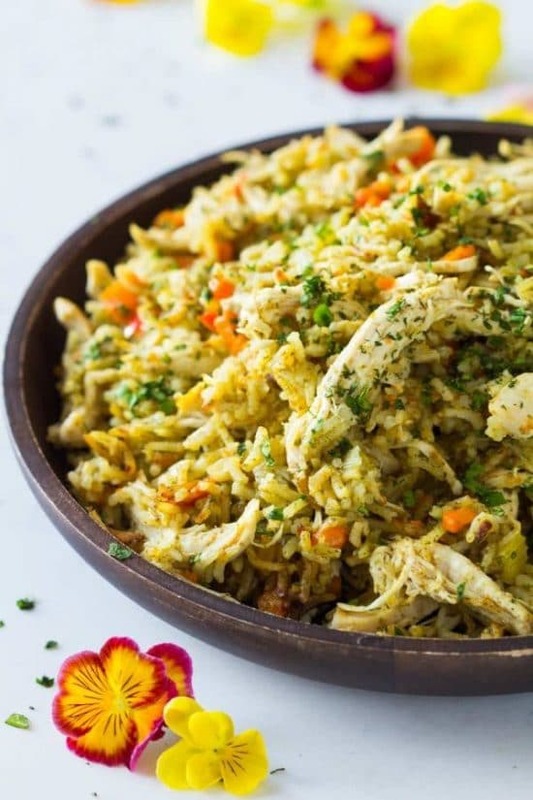 And finally, this Instant Pot Chicken and Rice Pilaf from Veronika’s Kitchen sounds like it would be loaded with flavor! And dishes like this where the chicken and rice are combined reheat beautifully for leftovers! There you have it; enough Instant Pot Chicken and Rice Variations that you can make a different version of Instant Pot Chicken and Rice for dinner every night for weeks to come! Check out Chicken Recipes to find even more ideas for Slow Cooker or Instant Pot chicken dinners! Let us know about it in the comments if you have a favorite way to cook chicken and rice in the Instant Pot!